Reading is an exciting, yet beneficial way to learn and expand your vocabulary. 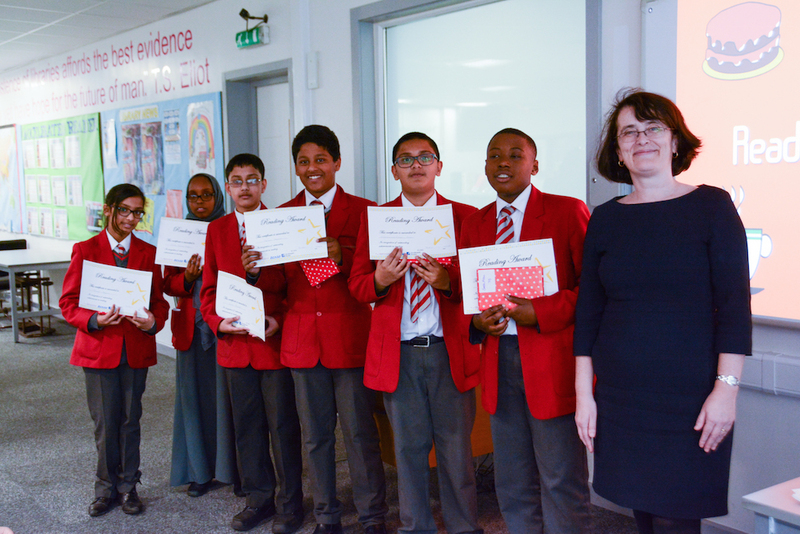 Rewards are given to students for achievement in reading. 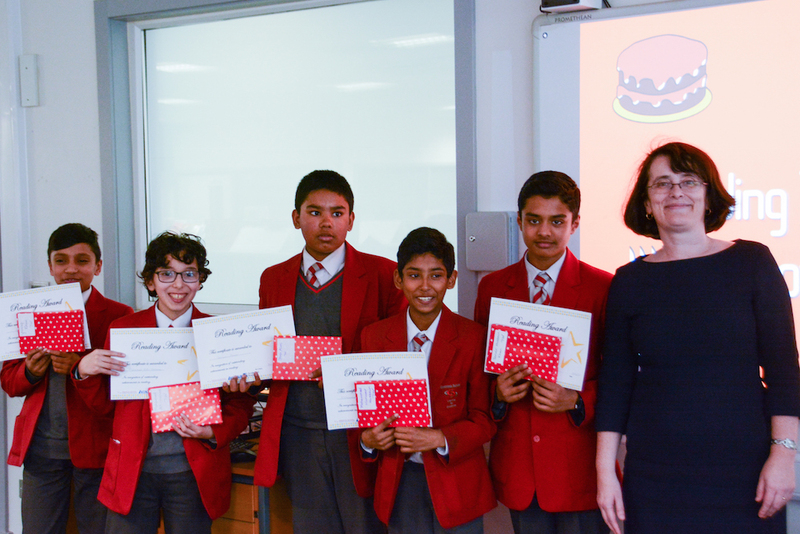 The achieving students are invited to a specially catered afternoon tea party with an assortment of delicious cakes and biscuits to celebrate their tremendous effort. It is through the Lexia and Accelerated Reading programmes that students are quizzed and challenged on their understanding of literacy and the books that they have read. It is the successful involvement of these programmes that allows students to be invited to this party. Parents are also invited because of the important supporting role they play in their child’s progress in reading. 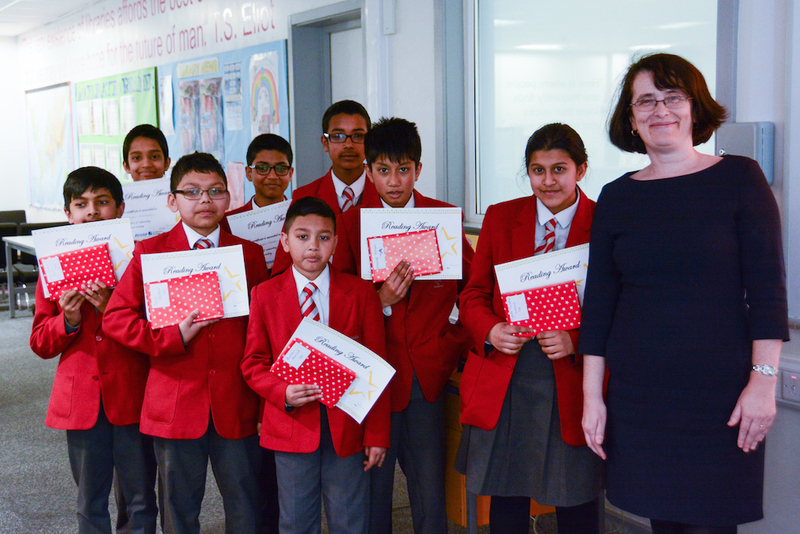 It is also an opportunity for the parents and their child to take a photo with the headteacher Ms Landers. 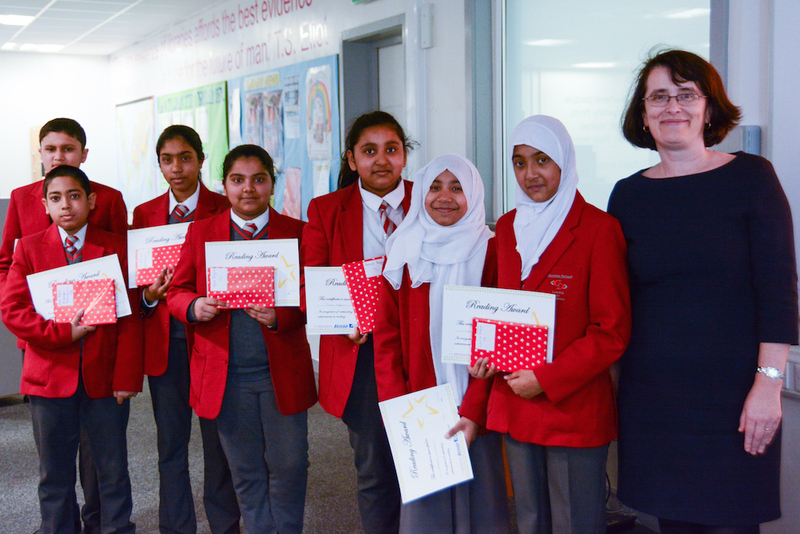 Congratulations to all year 7 pupils that attended and may those pages keep turning.